Use the TR drums or your own sounds loaded into Serato Sampler’s four sample slots (with individual sampler volume control) to create the foundation for remixes, beats, and live performances. 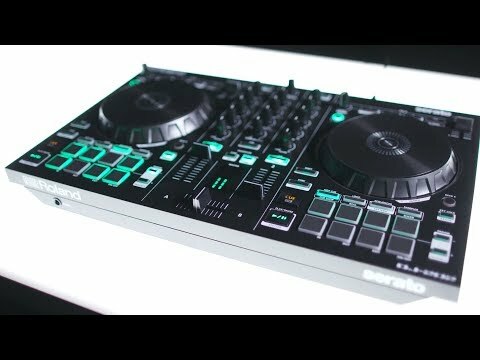 Program them using the DJ-202’s 16-step sequencer—accessible via the performance pads—and then sync them automatically to your Serato library to create unique transitions, live remixes, or beefed-up classic tracks. Engage Inst-Rec mode for on-the-fly, real-time Serato Sampler sequencing, or use the MIDI output to fluidly sync any MIDI-supported external devices and instruments to your sequencer and Serato DJ Intro. For expanded production capability, upgrade to Serato DJ to access 32 sync-able sampler slots over four banks, the full collection of iZotope FX, software recording capabilities.